You’ll love this: Health 101 online magazine offers easy-to-read articles, videos and photos designed for you. If you want to study better, sleep better, learn to deal with failure better, Health 101 is for you. You can learn how to face off against the flu, mental illness, relationship issues – or even sexual assault. 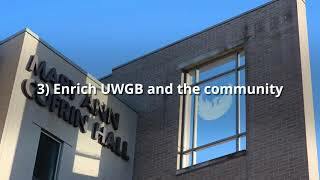 UWGB’s pages consist of events, tips, videos – anything positive, healthy and helpful for ‘GB students. The UWGB’s Health and Counseling Center hosted a DUI simulated car in the Union last week. The Health and Counseling Center wants to promote positive health for all students, but it needs to get the word out. Amy came up with the brilliant promotional idea of getting a projector in the Union – and projecting helpful tips for students, faculty and staff that would constantly show stories and offer reminders of where to go for help. Health 101 online magazine is free, and available to everyone. Previous Post - Previous post: Snowstorm Dan: LIVE! Next Post - Next post: April Showers bring Snow Plowers?